CANTON, Mass. 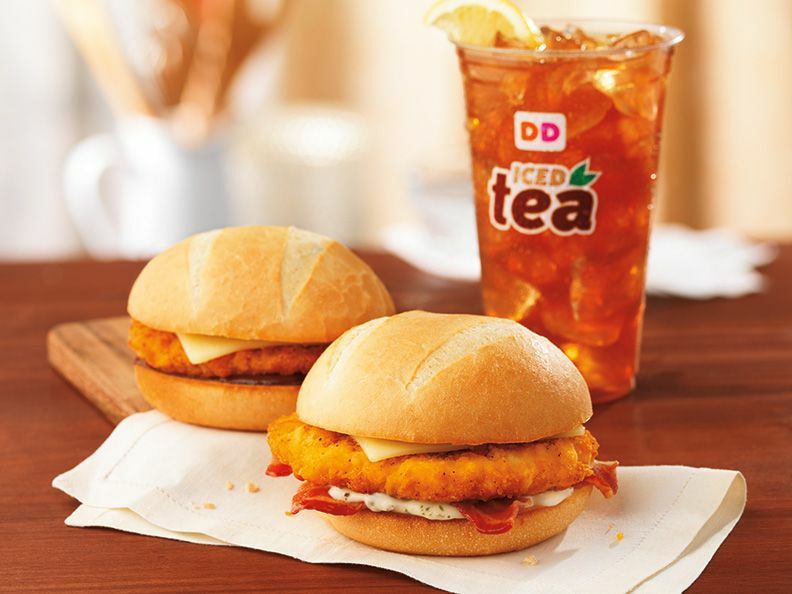 (June 5, 2013) – There is now an exciting new reason to cross the road to Dunkin’ Donuts, America’s all-day, everyday stop for coffee and baked goods, as the brand today officially unveiled two new chicken sandwiches as additions to its lineup of bakery sandwiches. The Barbecue Chicken and Bacon Ranch Chicken Sandwiches are made with a tender, juicy, lightly-breaded chicken breast topped with cheddar cheese, barbecue or ranch sauce and served on a French roll. Dunkin’ Donuts’ new chicken sandwiches join the current bakery sandwich lineup that includes Ham & Cheese, Turkey, Cheddar & Bacon, Chicken Salad, and Tuna Salad sandwiches, available on a French roll, bagel, or croissant, as well as Chicken Salad and Tuna Salad Wraps. All bakery sandwiches are served oven-toasted and made-to-order all day long at participating Dunkin’ Donuts restaurants nationwide. For a perfect accompaniment to Dunkin’ Donuts’ new chicken sandwiches, Dunkin’ Donuts restaurants nationwide serve freshly-brewed Iced Tea. A crisp, cold and convenient beverage choice any time of day, Dunkin’ Donuts’ delicious Iced Tea is made-to-order, unsweetened or sweetened, with or without a fresh lemon.